The delightful musical One Mo’Time introduced singer Topsy Chapman to admiring audiences around the world. The production, which is set in 1920s New Orleans, reached cult status in its run at the old Toulouse Theater in the French Quarter in the 1980s before being exported to New York and then to Europe. Much of the local cast traveled with the play and thus Chapman, long-considered a living treasure in New Orleans, received some well-deserved exposure before a larger audience. Chapman, who grew up not far from New Orleans in Kentwood, LA, was raised in the gospel music tradition. That gospel-tinged fervor is evident in her voice today, as she sings with some of the top musicians in the city of New Orleans. She still makes appearances at some of the popular gospel brunch venues around the city, but she mostly lends her elegant style to groups such as the Magnolia Brass Band, the Jim Cullum Jazz Band, and the Lars Edegran Orchestra. She gigs with the best of the best at venues in the Crescent City at popular clubs such as Donna’s, Snug Harbor, and the Palm Court, as well as at the New Orleans Jazz and Heritage Festival, and the Satchmo Summerfest. Another excellent release is Jazz in New Orleans: The Nineties. Working with Brian Carrick and his New Orleans Heritage Band, Chapman has made an uplifting record of gospel tunes such as “In the Sweet By and By” and “Just a Closer Walk With Thee.” Her work with the Magnolia Jazz Band can be heard on their 1994 eponymous release, featuring jazz standards and popular tunes. The vocalist also appears on Cubanismo!’s 2000 CD Mardi Gras Mambo-Cubanismo! in New Orleans. 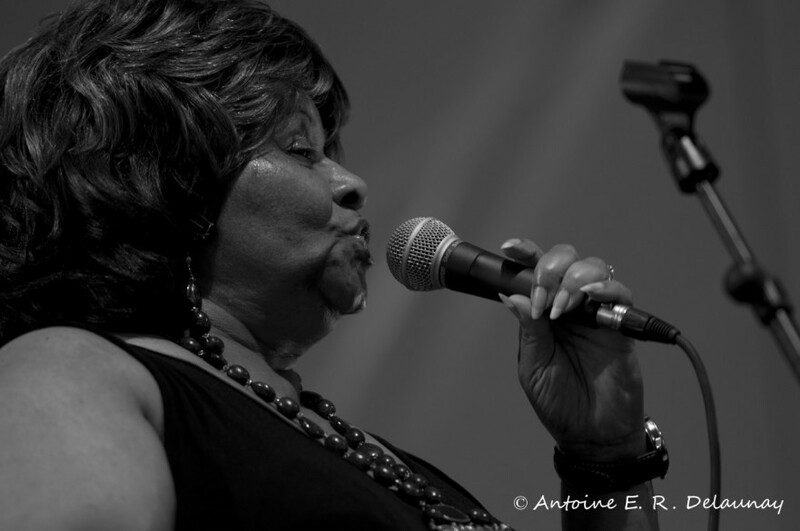 Chapman really fits in the groove, especially on her danzon-style duet with John Boutté, “It Do Me Good.” In 2002, Chapman was nominated for Best Female Jazz Vocalist in the prestigious Best of New Orleans Awards given by Gambit magazine. With several records out there, personal appearances, and glowing reviews in journals from Ebony to the New York Times, her star is shining brighter than ever.